This listing is for one (1) license plate made of 0.30 gauge aluminum. 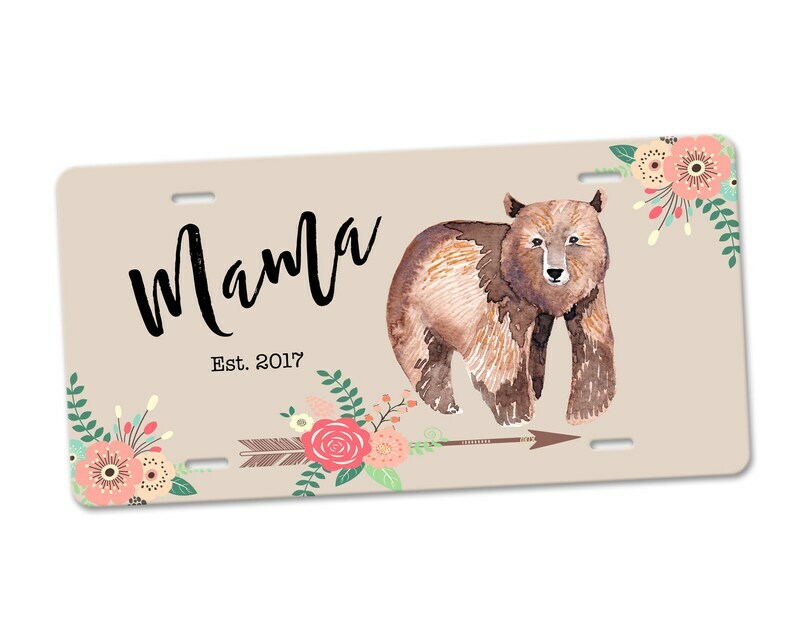 DESIGN: Mama Bear with floral arrow and custom established date. These high-quality aluminum license plates are a great way to customize your car with your own style and make the perfect gift for new drivers, new car owners, friends and family members, for any occasion. These aluminum license plates measure approximately 6" x 12" x .030" with approximately 7” horizontally between the mounting holes top and bottom. Please measure the mounting area on your car before ordering. Do not hesitate to contact us with any questions. Contact your Bureau of Motor Vehicles for information on permitted plates. 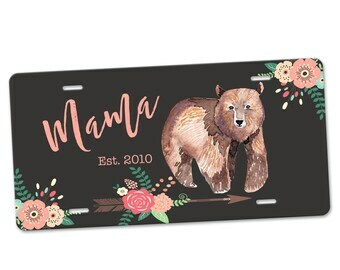 Matching car coasters, phone cases, and license plate frames are also available. The license plate quality is excellent, turned out exactly as we wanted it to, great communication to make sure personalization was correct! Highly recommend this shop!